I enjoy Thai food. 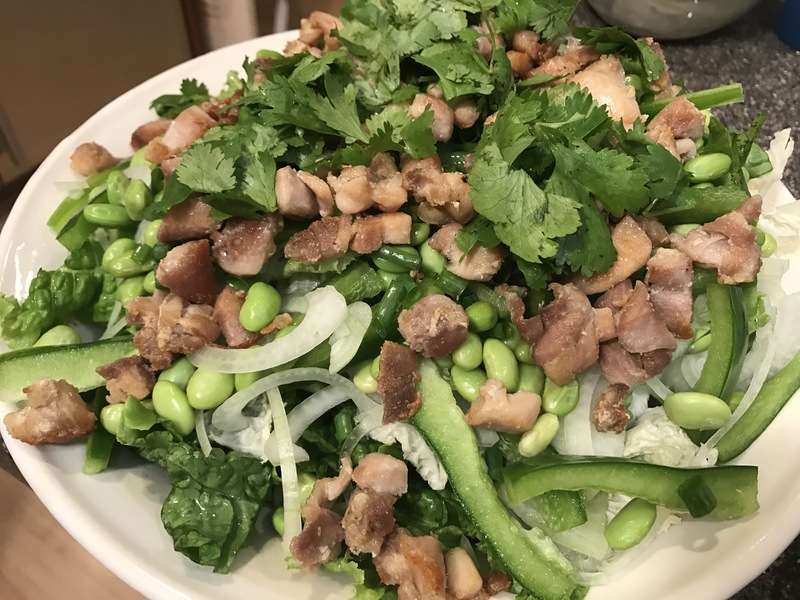 My family often goes to Hilo Siam for Thai food and we enjoy the green papaya salad, green curry, and pork and eggplant dishes with sticky rice. We always order the same thing. One thing that is not on the menu at Hilo Siam that I enjoy at other Thai restaurants is larb gai. Since my family (especially my husband) are creatures of habit, we don’t visit other Thai restaurants very much and so I don’t get to order the delicious larb gai. I have had the larb gai in Hilo at Naung Mai Thai on Kilauea Avenue and it is delicious. I enjoy the fresh flavors and pretty colors of the salad. I was having a craving for the larb gai flavors at home and rather than go out to dinner, I tried to make it at home. Naung Mai Thai serves their larb gai with ground chicken. 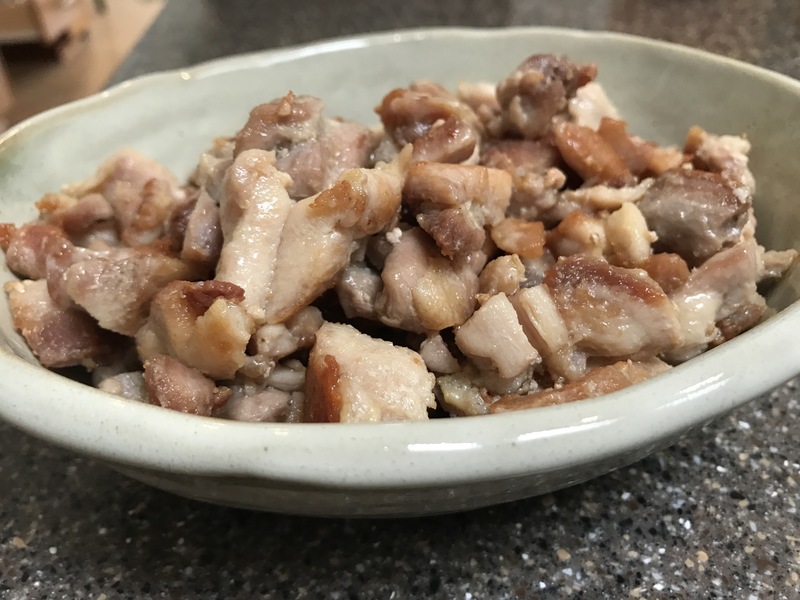 Since I didn’t have ground chicken, I chopped chicken thighs into small pieces and fried it in olive oil with some salt and pepper. After the chicken was done, I put it aside and prepped the other ingredients. I had Chinese cabbage and green leaf lettuce at home so I used that for the base of the salad. 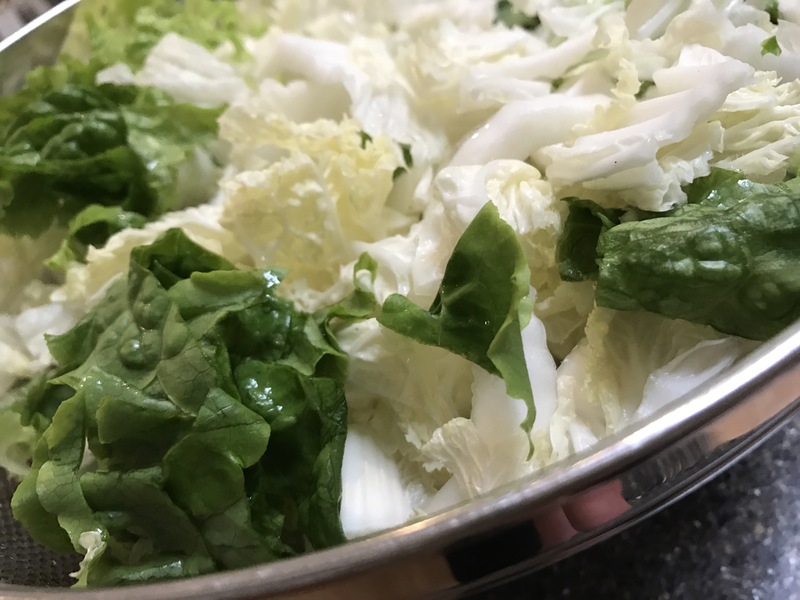 Both the Chinese cabbage and the green leaf lettuce was delivered to me in my community-supported agriculture (CSA) bag from the Hawaii Food Basket. I love supporting local farmers and eating local produce. 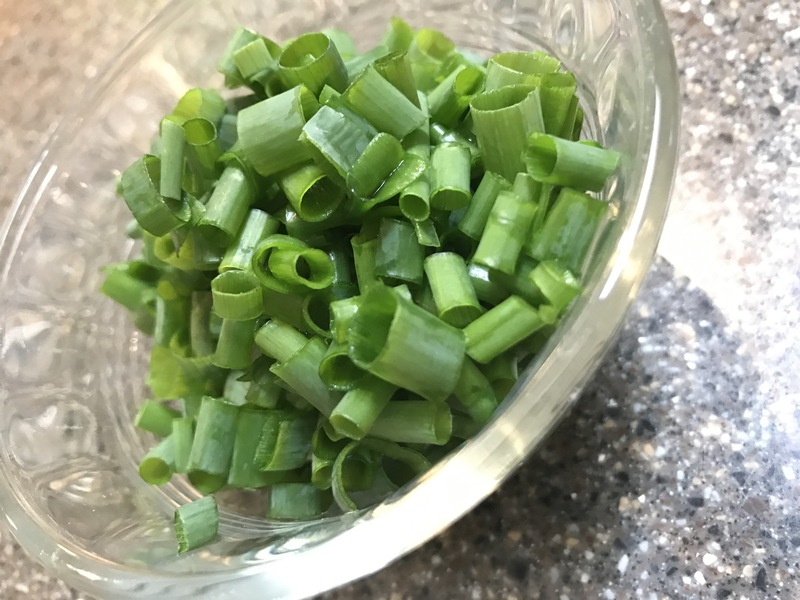 I picked the green onions that I am growing in my backyard and chopped it up. 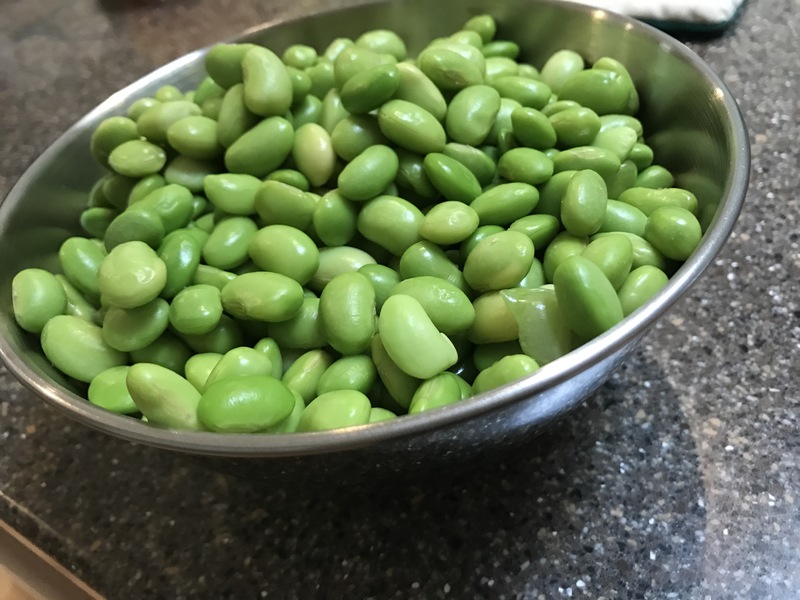 I noticed that I had some frozen edamame and decided to add that to my salad too. I also added sliced bell peppers, onions, and cilantro to top off the salad. I dressed the salad with a mixture of Thai fish sauce, lemon juice (lime juice is recommended), a little bit of brown sugar, and sriracha sauce. My family (except for my non-vegetable-eating son) all enjoyed this salad. It was quick and easy to make and I think it was pretty healthy. A perfect combination for me. I need to put this salad on a regular rotation. It was tasty, filling, and satisfying. Living Hilo Style.